Poisoned Pen Press, 9781590582695, 223pp. Barry Clayton has a job he doesn't want. When his father became stricken with Alzheimer's, Barry left the Charlotte police force for the small mountain community of Gainesboro, North Carolina, where his family runs the local funeral home. 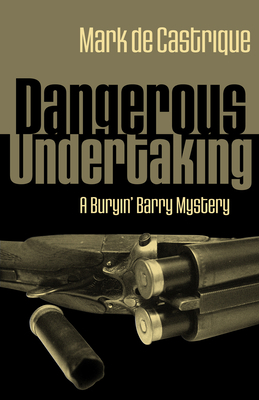 "Buryin' Barry" reluctantly assumed the mantle of town undertaker, trying to fit his life into this somber profession. Almost at once it turns deadly. At the graveside service for an elderly woman, a grieving grandson strides in clad like Clint Eastwood in a duster, rips out a shotgun, and murders his family. Then the shooter turns the weapon on Barry. "Take a message to my grandmother," Dallas Willard shouts. "Tell her they tried to take the land. Tell her I love her." The blast hits Barry in the shoulder.